Barbara Reid Napangardi was born near Tjukurla, Western Australia. 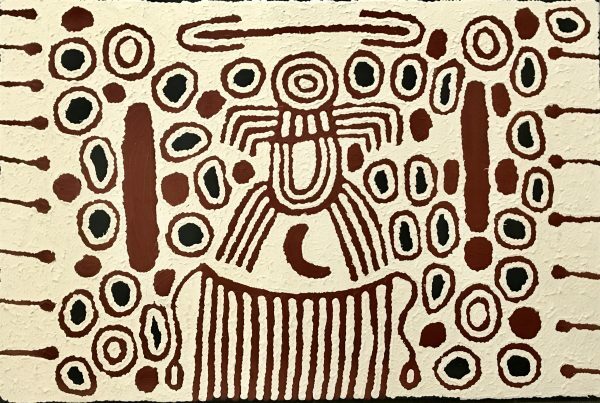 She grew up in this country and was part of the family of famous Australian National Gallery Artist, Ningura Napurulla. The important women’s stories that Barbara paints today were passed onto her by her famous Aunt. We have seen the similarities between these two women when they collaborate together, however, the differences at times are abundantly obvious also. 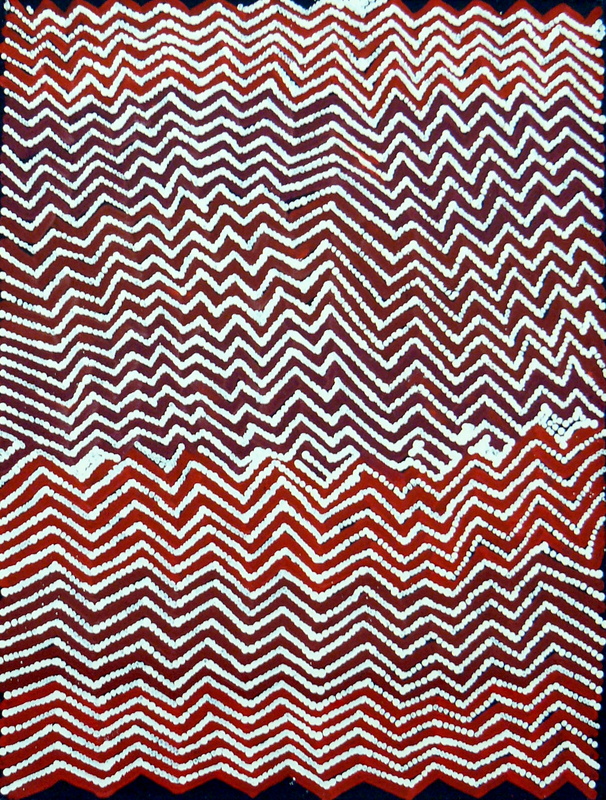 Barbara chooses much bolder colours than Ningura used in her works. Barbara’s artworks depict a ceremonial site near Tjukurla, where she was born and raised. 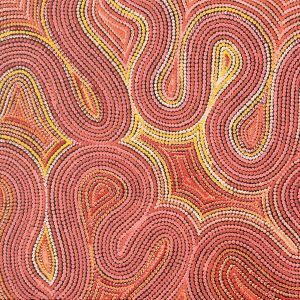 Most works by this artist tell the story of the bushfoods collected by the women for the birthing ceremony. During this ceremony, the newborn baby is bathed in smoke from the camp fire, wherein the child is held near the fire and the smoke is fanned over them. The women are not permitted to watch the ceremony and are given the task of collecting the bush food while this is taking place. Only the baby’s mother, aunties and grandmother are obliged present. The women are then sent away to wait for the ceremony to finish. This is a very important and sacred ceremony, as this smoking ceremony wards off evil spirits from the nearby salt lake. Barbara tells us that if the ceremony is not performed the child will be stolen by the spirits and never seen again.